Well-maintained pavement is a big part of maintaining any property's "curb appeal"; it's also critical to ensuring tenant safety. Our experience in maintaining parking lots and other paved areas will help you create the well-managed appearance you need while following the ADA's Accessibility Guidelines for Buildings and Facilities. 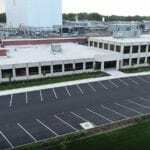 Ohio Paving provides parking lot evaluation, specializing in spotting existing defects early and making timely repairs. We also provide a plan for cost-effective maintenance, so property managers can spend less time worrying about pavement problems and more time on other facility maintenance issues. By scheduling construction and repairs in stages, we can maintain your pavement without inconveniencing your tenants. The exterior of your facility is critical to establishing a potential customer's opinion of your business. Ensuring the safety of your clients and creating a first impression that reflects well upon your company are essentials in the marketplace. Ohio Paving can develop a maintenance plan that will make an exceptional impression on your customers, as well as serve the needs and timeframe of your facility managers. Precisely timed maintenance and early detection of flaws are critical to your pavement preservation plan. Ohio Paving will help to insure work and repairs are scheduled in stages to allow ongoing access to your business; offering a timely and cost-effective transition to your pavement improvements. Government facilities set the standard for safety and streamlined management. Our years of experience in providing durable parking lots and other paved areas can help your agency adhere to the ADA's Accessibility Guidelines for Buildings and Facilities cost-effectively. We can also help in planning for future maintenance requirements. Because they have limited time and funding for their operations, government agencies face additional complications that must be incorporated into a construction plan. Ohio Paving's experience in working with government agencies allows us to evaluate your facility's long-term needs, then provide a preventative maintenance schedule that's suited to your agency's specific requirements and budget. Non-profit organizations are often challenged to provide services for their members and clients while working with a limited staff and capital. Ohio Paving can work with your organization to make the best use of your limited time and resources while adhering to the ADA's Accessibility Guidelines for Buildings and Facilities and other code requirements. Detecting flaws in pavement early and preventing them from growing more serious (and more expensive to repair) must be a priority for any facility's management. 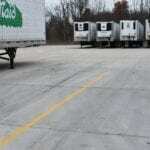 Ohio Paving offers cost-effective pavement maintenance solutions that will fit your timetable. We can schedule work in stages to ensure ongoing access to your facility and simplify the transition to your new pavement design.